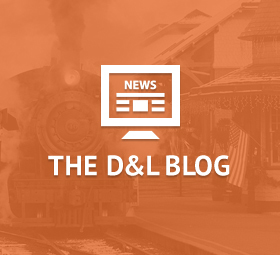 The D&L Corridor has occupied a special place in American history for centuries. Its unique combination of industry and natural resources made it a cradle of the Industrial Revolution. Later, this acclaim catapulted the region to an internationally-recognized hub of production. 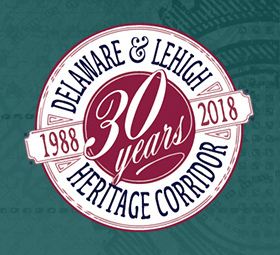 Without a doubt, the Delaware and Lehigh Canals were essential links in this process, and it is their history that the D&L works to preserve and celebrate. 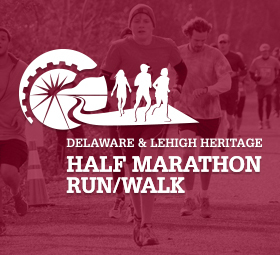 The history of the region we now know as the D&L Corridor begins with the Lenni Lenape people. At first, they were the ones who hunted and gathered in the valleys, forests, and rivers throughout the area. Then came colonization — during this time, William Penn promoted religious tolerance and land settlement. He attracted thousands of immigrants who left their homeland in search of a better life. They farmed the corridor’s rich, fertile soil and established diverse communities. Patriots of the time bravely read the Declaration of Independence here, solidifying this region’s place in history. Just a few miles away, George Washington crossed the Delaware River in the dead of winter during the Revolutionary War. Innovative entrepreneurs produced iron, coal, slate, cement, zinc, and textiles throughout the 18th and 19th centuries. They transformed the region into a center of the Industrial Revolution. The Delaware and Lehigh Canals transported hundreds of tons worth of goods to New York and Philadelphia, fueling industry and creating jobs–a legacy the D&L works to preserve and celebrate. Bethlehem Steel grew from a modest iron producer to one of the most lucrative businesses in the US. Notably, it provided steel for the George Washington, Brooklyn and Golden Gate Bridges, submarines, Madison Square Garden, aircraft carriers and the St. Louis Arch. These projects further brought international acclaim to the Corridor. Then, in the 20th century, the coal and steel industries dimmed and the mills closed. Populations shifted as residents moved out of the cities and farms in search of suburban dream houses. Today, the Corridor is a lively, vibrant place to live. Towns and cities are revitalized, and their historic districts have been preserved. Technology, culture, and innovation have replaced the industrial past, while agrarian roots are still visible in the surrounding countryside. Volunteers and organizations like the D&L are now committed to revitalizing the region’s towns, restoring its beautiful landscape, celebrating and preserving its heritage and planning its future for generations to come. D&L History is still in the making.